Will a Lifelink blocker keep me alive versus Splinter Twin combo? 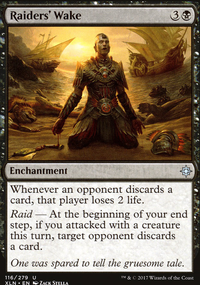 1) I would put all 4 mana leaks , countersquall is very mana intensive and you dont have the lands to cast it often at the right moment , thought erasure is fine but i think 4 Duress is better . here replace the sidisi pets with Gifted Aetherborn , Opt is cheaper(moneywise) than Serum Visions but the second gives more card advantage , 4 would be recommended from one of those two , I think 2 Read the Bones is enough or Night's Whisper you choose which do you prefer in your playstyle. 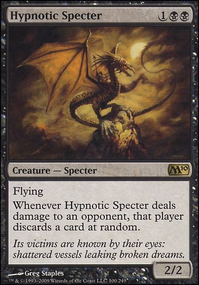 2)The advantage is to have always something in your hand to drop(counterspells , creatures...) for 2 mana you draw 2 cards and for 3 you scry 2 to see if you want to draw those 2 cards and then draw. 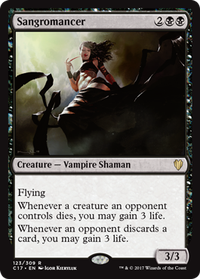 I've played a bunch of vamp variants- the battle is that mardu vamps (which is basically all B/R vamps decks that aren't secretly just a Stromkirk Noble and burn list, because the white vamps are really, really good) has several different ways it can go. 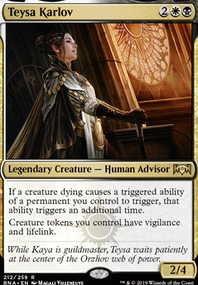 You can build around Stromkirk Captain in a go-wide strategy in which case maindeck Mavren Fein, Dusk Apostle and Legion Lieutenant , or around Blood Artist , Cartel Aristocrat and Falkenrath Aristocrat in a sacrifice strategy, or around discard outlets with Stromkirk Condemned , Falkenrath Gorger , Olivia, Mobilized for War , or around trading efficiently with Gifted Aetherborn , Stromkirk Captain and Vampire Nighthawk , or dip more heavily into spells, or lifelinker spam to land Blood Baron of Vizkopa . You can also split the difference between any of these plans, because there are cards to bridge basically any strategies. Vamps is incredibly versatile, with a big pool of synergies to draw from. You can stretch from lurn-like aggro all the way to blood-baron control. So play with the tools, target a section of the game you want to win in and build to that. And don't be scared to switch it up. 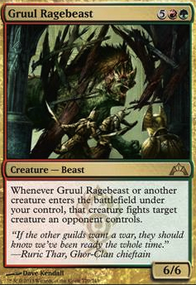 The reason to go to mardu is the options it gives you (and bloodghast triggers)- not just in the sideboard, but throughout the deckbuilding process. You can absolutely bring a different vamps deck each friday, and your opponents will misplay because they were expecting what you've done before. That is incredibly strong. The point of Vampire Nighthawk is that he is highly functional and not just a body. With death touch he doubles as removal, with flying he can beat down hard, and with lifelink he's relevant against burn type decks. The curve is already very low, and this is not meant to be a 1v1 version of Edgar. 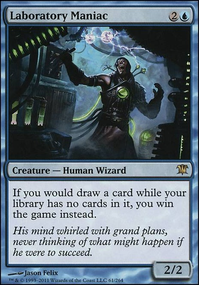 Cruel Celebrant (The new vamp you're talking about) might actually end up replacing Blood Artist in this deck since this deck does not contain the loop that makes blood artist go infinite. How about changing higher cost Vampires like Vampire Nighthawk to lower cost like Pulse Tracker or Vicious Conquistador ?